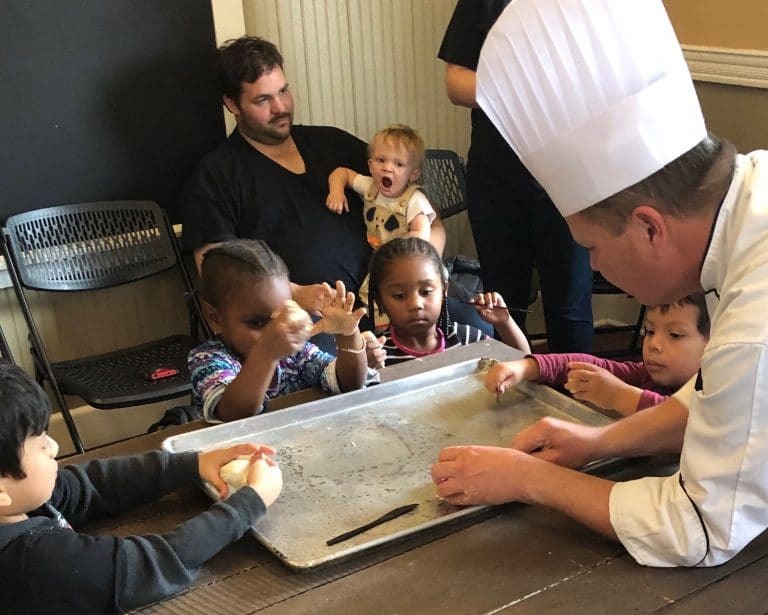 Students from Greensboro Head Start attended a class on bread making, led by Culinary Arts program instructor Chef Shawn Harlan and #CCTC-CTE students Samantha Hamilton and Reese Trippett. 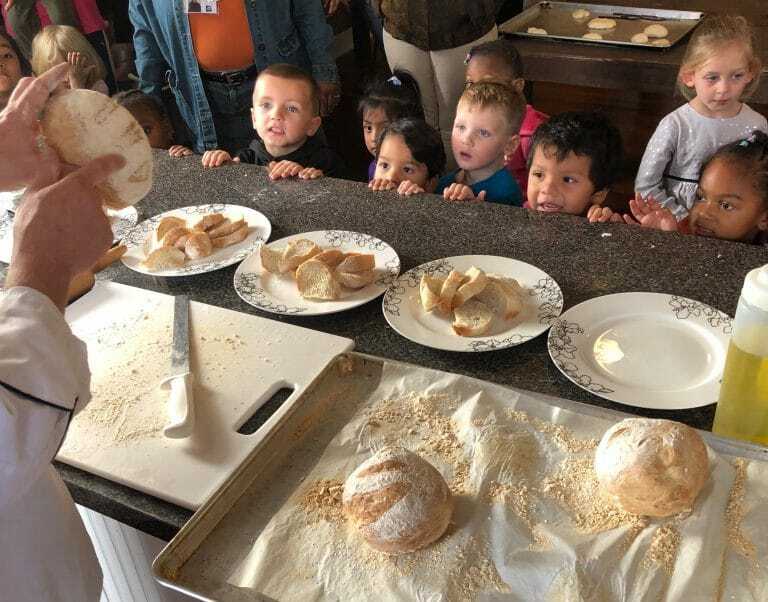 The three- and four-year-olds learned how to knead dough, and were able to taste a classic French bread boule and Italian focaccia. 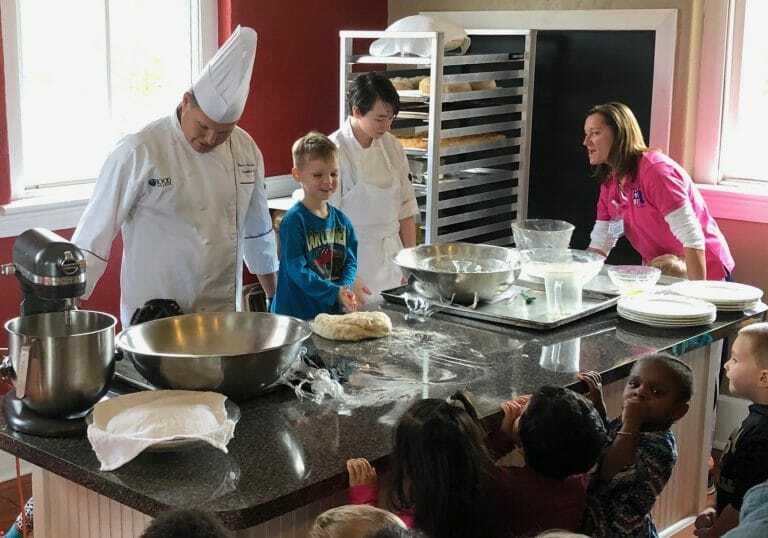 In addition, all of the students (and adults!) enjoyed a dark chocolate brownie tasting.